Tue., 2 Jul. - Wed., 21 Aug. Mon., 1 Jul. - Wed., 21 Aug.
Wed., 3 Jul. - Wed., 24 Jul. Sun., 7 Jul. - Wed., 21 Aug. Tue., 2 Jul. - Thu., 22 Aug. Tue., 2 Jul. - Mon., 19 Aug. Sat., 6 Jul. - Wed., 21 Aug. Mon., 1 Jul. - Thu., 22 Aug. Mon., 1 Jul. - Mon., 19 Aug. Tue., 7 May - Sat., 29 Jun. See all 19 properties in Queen Alia Intl. 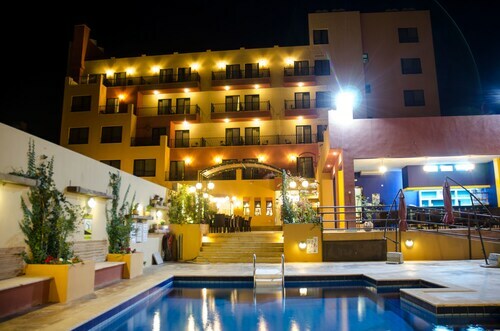 Situated near the airport, this hotel is 10.9 mi (17.5 km) from Amman Waves and 11.4 mi (18.3 km) from Bisharat Golf Club. Madaba Archaeological Park and Basilica of Saint George are also within 16 mi (25 km). 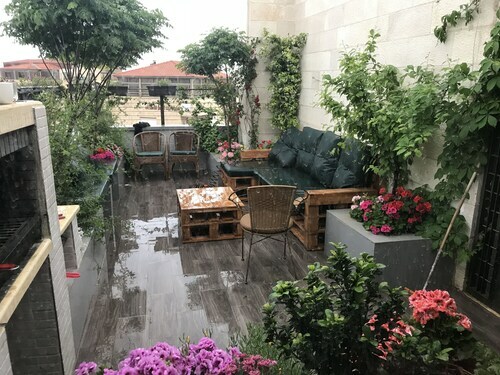 Situated in Amman, this apartment building is within 12 mi (20 km) of Amman Waves, Bisharat Golf Club, and Madaba Archaeological Park. Basilica of Saint George is 11.5 mi (18.6 km) away. 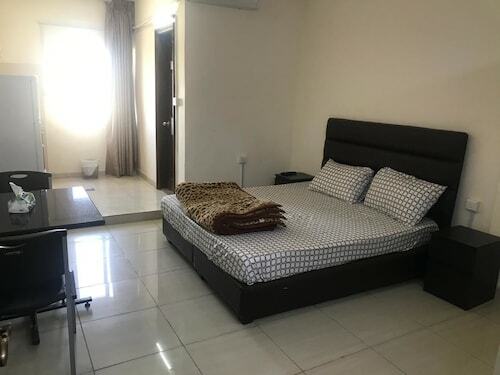 Situated in Amman, this apartment building is within 12 mi (20 km) of Amman Waves, Bisharat Golf Club, and Madaba Archaeological Park. Basilica of Saint George is 11.4 mi (18.4 km) away. Situated in Amman, this apartment building is within 9 mi (15 km) of Abu Darwish Mosque, Amman Roman Theater, and Amman Waves. Plaza Mall and Jordan Archaeological Museum are also within 12 mi (20 km). 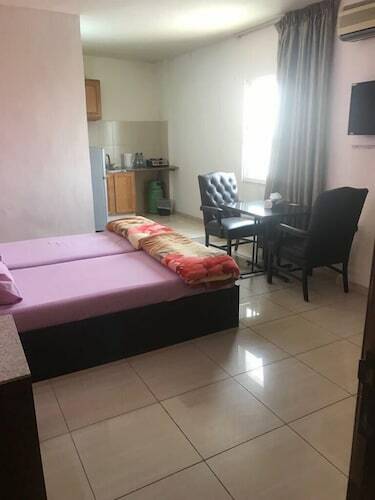 Located in the center of Madaba, this family-friendly hotel is within a 15-minute walk of Basilica of Saint George and Madaba Archaeological Park. Mount Nebo is 5.7 mi (9.2 km) away. 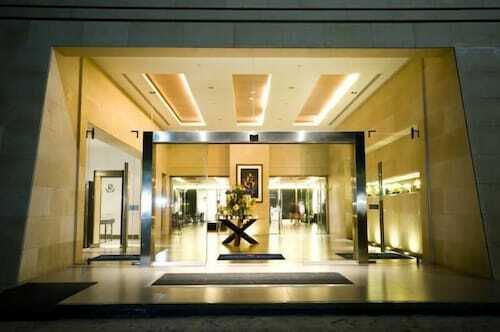 Situated in Madaba, this hotel is within a 10-minute walk of Basilica of Saint George and Madaba Archaeological Park. Mount Nebo is 5.5 mi (8.8 km) away. 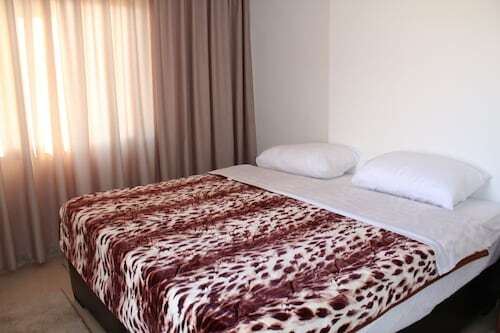 Situated in Madaba, this hotel is within a 5-minute walk of Madaba Archaeological Park and Basilica of Saint George. Mount Nebo is 6 mi (9.6 km) away. Question : How long do most people stay on their visit to Amman? Answer : Of course, you are not most people, but if you were, you'd stay around 21 days. Question : How long does it take to fly from Detroit to Amman? Answer : If you are flying on Royal Jordanian, your flight will be around 11 hours and 25 minutes. Don't forget the seven hours time change. Question : How long is the flight from DTW to AMM? Answer : If you're able to take the direct flight (which is offered by Royal Jordanian), you will be able to leave DTW at 8:30 AM EDT and get to AMM at 2:55 AM EEST (11 hours and 25 minutes). Remember, there is a time change of seven hours. Answer : Yes, you can adjust your departure or arrival date. If you wish to save a little money in doing so, the cheapest day to fly in April is Monday. You might think you're missing out leaving a day earlier, but we see it as just adding those savings towards a future holiday. A dollar saved is a holiday earned. Question : How much is a plane ticket to Amman (AMM) from Detroit (DTW)? Answer : Cost can range from $865 to $14,418, prices for DTW to AMM do fluctuate more than the majority of routes from the United States. Prices tend to be lower the further out you book. Question : How many flights are there per day from Detroit to Amman? Answer : Of course, the day of the week matters, but on average, only one flight time exists when you fly from DTW to AMM. Compared to the average route departing the United States with nine flight times, you won't have as many options as most. Question : Which airline has the least delays from Detroit to Amman? Answer : Royal Jordanian leads the way with a 0% on-time rate. Don't spend more time waiting in an airport terminal than you must and stick with Royal Jordanian on this route. If they are late for some reason though, the average delay is 44 minutes.